Back pain is one of the most common problems that we treat at our clinic. Nearly 80% of the population will experience debilitating back pain in their life. We offer a GENTLE alternative to the often painful and less effective high velocity and force adjustments. 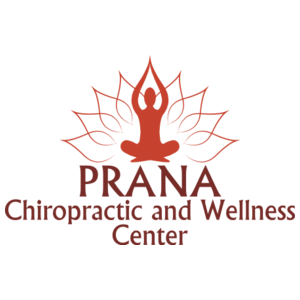 Like back pain, neck pain is a very common problem that we treat here at our wellness center. There are a wide range of causes behind neck pain. Frequently we see neck pain due to injuries, poor posture, prolonged and/or standing or sitting. We get excellent results with our neck pain cases because we are often able to treat the root cause of the problem. There are a number of different ways we can develop shoulder pain. Whether it be from an injury, overuse, or some other type of shoulder problem, we see a lot of shoulder cases and we get excellent results treating them conservatively. Far too often, patients first seek help for their headaches by using pharmaceuticals. Rarely does this approach provide any lasting solution. Chiropractic and Applied Kinesiology techniques have an excellent track record of successfully treating headaches with an approach that not only helps with the symptoms, but corrects the cause of these headaches and provides lasting results. Whether it's a sprained ankle, knee injury, or other sports related injuries, we can help! We are able to quickly diagnose the problem, determine if any advanced imaging or referrals are necessary, and ultimately provide effective conservative care for many sports injuries with Chiropractic adjustments, AK treatment techniques, soft tissue work, nutritional supplements, and more. Prior to your first visit, you can download, print, and fill out the initial intake forms for yourself and child (if applicable). If you prefer, you can arrive 15 minutes prior to your first appointment to fill out the required paperwork.